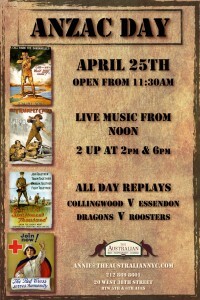 Come celebrate ANZAC Day at The Australian! 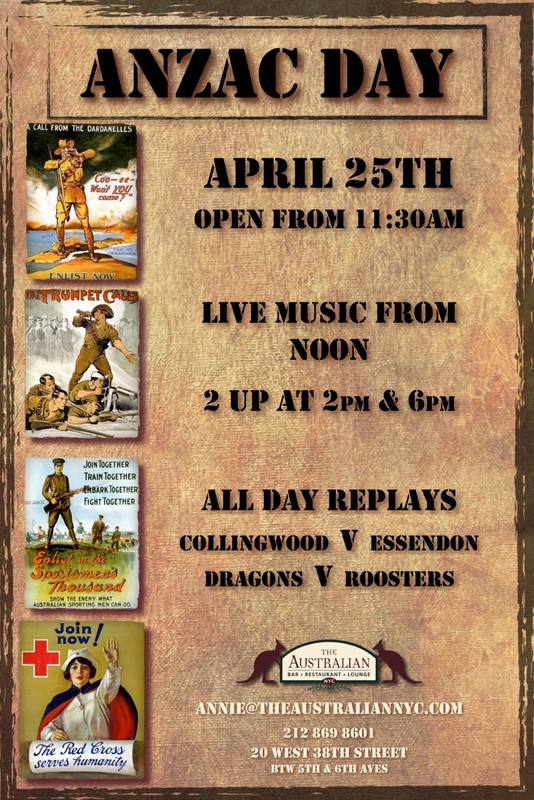 If you are looking for fellow Kiwi’s and Aussies to celebrate ANZAC day, look no further! The Australian has ANZAC day covered!